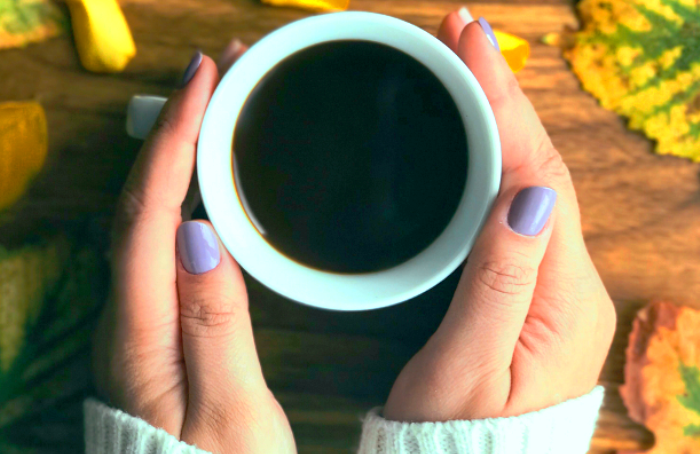 It's time to celebrate the end of May, so why not share another virtual cup of coffee with me while I update you on what's been going on in my life lately. I love a good 'Taking Stock' blog post, so I hope you'll humour me and sit a while as I share my news. 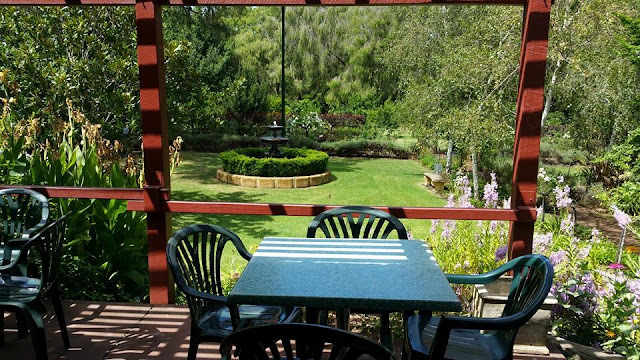 Here we are, back again at Stirling Cottage in Harvey, Western Australia, surrounded by absolutely beautiful gardens and a river walk. Time to sit back with a cuppa and chat about what else I've been doing over the last month. It's been so nice to slide back into my usual schedule after posting every day in April for the AtoZ Challenge. 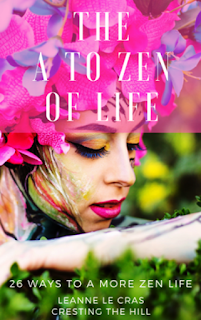 In case you didn't notice, I've made a free e-book of my A to Zen of Life and if you'd like a copy just click HERE to ask for one - I'd love you to have it and if a few people like it I might end up doing more in the future. I've also decided to start sharing posts from guests every week. I started with my lovely DIL Hannah (who has just started a blog of her own) and from the beginning of June onwards I will be hosting Social Saturday. If you're a Midlife Blogger and would like to contribute a post a bit later in the year, send me an email and we'll have a chat. I'm so excited to have a variety of weekend posts in the months ahead and I hope you enjoy them. Our darling granddaughter Sophia turned 2 at the end of April. She has so many toys already and our daughter suggested giving her an "experience" rather than adding another toy to the collection. Our daughter had already bought them a family pass to the zoo for Christmas, so our gift was a family pass to the aquarium. Her parents thought we might like to come with them - so we had a lovely day sharing something new with them. Everything is more fun through the eyes of a child. There is more to share about Sophia and her family's visit down to see us at the end of the month - but I might leave that til June's coffee date. I also managed to sneak in a visit to our daughter - my husband had a seminar to go to and dropped me off at her place in the city for a few hours - where she spoiled me with some belated Mothers Day gifts, followed by a lovely time watching Eurovision (we are both Eurovision tragics). And I made it home in time to catch the Royal wedding - because nobody would want to miss Harry and Meghan tying the knot. When our "kids" were down last, we went out to a little cafe in a shopping centre near us. I'd tried a few of the other eateries in the complex but had missed this one. We had a great meal and so I made a return visit with my Mum when she was down recently. 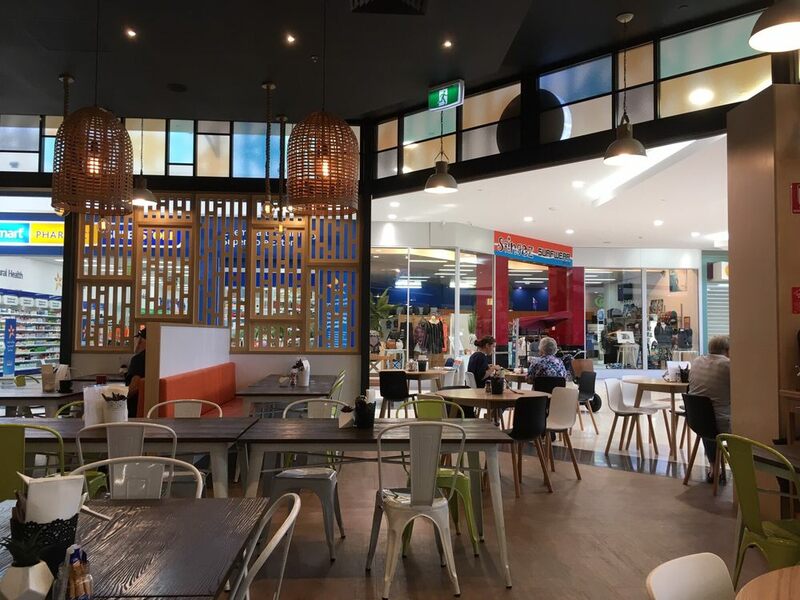 Casual dining with great food and coffee - what's not to love? My DIL enjoyed it so much last time that she requested a return visit for the BLT which she says is "drool worthy". Is there anything interesting happening in your world? Feel free to update me in the comments and I look forward to having another virtual cuppa with you at the end of June - we should be well into Winter by then and I'm sure there'll be lots to catch up on. Good idea to give experiences rather than stuff! When my brother's 2 little girls moved in with my parents while he was in Afghanistan, that's what I tried to do for them. My parents are great care-givers, but in their 70s, so once or twice a month, I'd take the girls - just the oldest at first - and we'd go to a local county fair, or find something new in town, go to the circus, have a sleep over. Just something to create memories. I think that's the best gift, honestly. She loved it and it was so nice to do something with her parents - creating memories for them and us (even if she can't remember it without the photos to prove it happened). It was also a great excuse for a visit and some grandbaby time. It's so fun to see these updates, Leanne!! Puppies and kids can't but make us all smile!! I know - that greyhound was the complete opposite of what I expected - I thought it would by hyperactive because they're great runners, but apparently they have small bursts of energy and spend the rest of the time lying around - and make great pets. I always enjoy our coffee catchups Leanne and I'm very much looking forward to your new Saturday Series. Sophia is gorgeous and time goes too fast doesn't it? She looks like she was having a fun time. It was also lovely for you to spend time with your daughter and indulge in Eurovision. Have a great June and I look forward to reading all about it. My Coffee Catch up is next week! I'm so glad you're going to be my first guest Sue - you'll set the bar high and I know people will come back for more. I will be looking out for your coffee catch up next week - it's the closest we get to the real thing and I'm sure you'll have a lot to share! Thanks Jo - I love catching up with you too - and yes I'm thinking greyhounds aren't given enough kudos, he seems like the perfect pet to me. Sounds like you've had some lovely, quality time with family this month. 'Experience' gifts for kids are so great. My 2-year-old has so many toys as well, but it's the days out that she really enjoys and that we will remember when she's older. 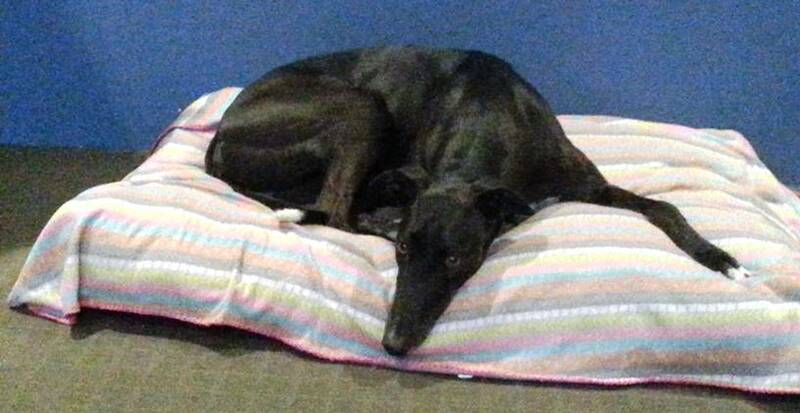 Ed looks cute, I adore greyhounds. Two year olds are just the best Tizzy! 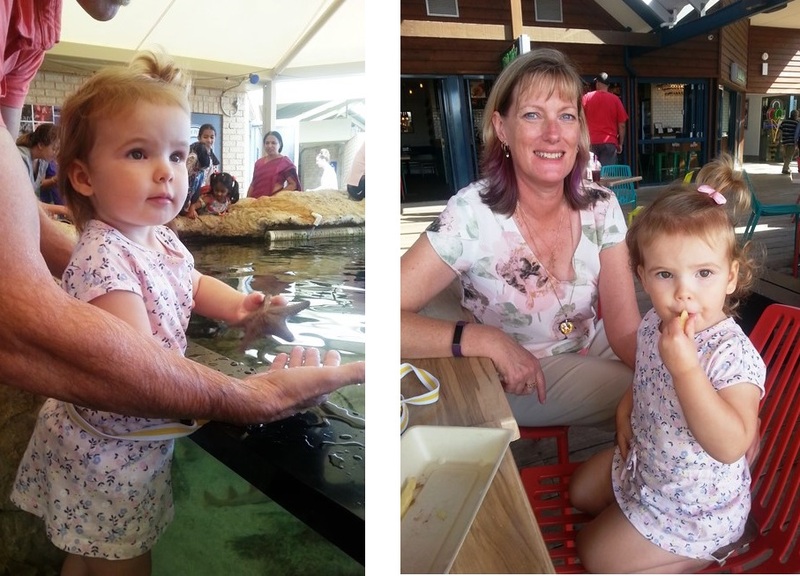 We had such a lovely family time for her birthday outing and it was such a great gift. Now I just have to come up with something for her third birthday - I've got a year to plan! Hi Yam - so glad you're enjoying your travels and still managing to keep the blog up to date. I've just been over to read your latest post on the GDPR compliance stuff - there's so much to learn isn't there? Nice tips from you and really helpful to those who are still trying to get their heads around it all. I can't believe that May has come and gone already Kathy - when I looked last it was March and an early Easter - now we're heading into June! Babies, puppies and eating...what joy! Thanks for sharing a little review of your life goings-on. You always have fun blogging ideas. Thanks Laurie - it was a lovely month of family time and fun things - June is looking like it will be full of new and interesting projects - it should be fun to do a recap on in a few weeks! Sounds like you had a perfectly lovely May! Thanks for sharing Leanne! It was indeed Lori - a pleasantly paced month indeed. Our Winters are a far cry from yours Alana - no snow and no wild weather - some cold nights and a bit of rain and that's about it so far. aahh the merry month of may - sounds like a great break Leanne - food family visits beauty and love - after the intensity of april and the high quality of your posts - well deserved. in our family we did do gifting but were more focused on giving them not only experiences like a brass band concert or a visit to the art gallery or a zoo but also journeys . for instance when the youngest was turning 6 we had always said to her that she had to walk 6 mountains ( this was after our trip to the himalayas) and so on the big day we took her and all her sisters up a sacred mountain near us. for little legs it equated to 6 mtns and the pleasure delight and self confidence she got from the accomplishment of this was beautiful to see. now she has a 2 year old and they spend a lot of their days outdoors - on walks, in parks and on the beach far from a screen. So very nice. Thanks for sharing. What a wonderful month of May you had. Thanks Patrick - it's been a lovely month and I'm hoping June matches it - maybe with a bit more rain thrown in though! Nothing like a cyber cup of coffee Donna - probably the closest we'll ever get, but I love the connection of seeing little glimpses into other bloggers' worlds. Enjoy your fur grandbabysitting! It was lovely to hear about your time spent with your kids and grand daughter. At least you did the right thing by buying an experience for Sophia’s birthday and not a singing, dancing sheep, like her naughty great grand nana did!! Oh well, at least it was a hit with Sophia if not with her mum and dad!! As you know, I am a work in progress. xoxo. Mum. She loves her dancing sheep and I'm sure her parents appreciated the rest of the present so really it was a win/win - ours was just a bit quieter! Indeed a very serene coffee patio you've got there, Leanne! I love your birthday gift to your beautiful granddaughter. It is something you could experience together and won't clutter up the toy room :) I was able to visit my family last weekend and was thrilled to see my newest granddaughter, Isla Rose, 2 weeks old when we met. It was lovely! Ohhhhh a two week old grandbaby would be just delightful Candi - my DIL is due again in August and I can't wait to meet that little person! Hopefully we'll come up with a few other events to gift them over the years to add to our memories. Seeing the world through the eyes of a child is certainly wonderful Karen - our son commented that friends of his had gone to the aquarium as adults and found it a bit of a let down because it wasn't as amazing as they remembered it being as children. I guess you need to take a child with you to recapture the simple pleasures in some of these things - and a waterpark is definitely on the list! It's so great to get a glimpse into the full and festive lives of other women! There is nothing like spending time with the grandchildren and your Sophia is adorable. You have had a full and busy month onward to June. June is shaping up to be a great month too Victoria - it's really what you choose to focus on and not having huge expectations. I'm not travelling the world like some of my FB friends - or jumping out of planes - but I'm having a lovely life and you can't ask for more can you? It all sounds lovely, Leanne. I too like the idea of giving experience gifts. I've been doing more of that lately, unless I know the recipient wants (or would love) a specific item. I know my fondest memories are of occurrences, not things. Have a wonderful weekend! It's all about knowing what would make the other person happy - not what's easiest for us isn't it Christie? As we get older it's up to us to invest some time and love into the gifts we give - even though it would be easier to just grab something and wrap it up. I love these cuppa's...I get to know you a bit better every month. And as other's have said... grand-baby, dog, and food... a good month! It was a lovely month Pat - not the least because I managed to catch up with both our kids - quite a rare event in our household. Meeting the granddog was also nice - and reminded me of how long it had been since we visited. That BLT is to DIE for - I tell you what, it's probably a good thing I don't live where you do otherwise I would be seriously tempted to go to that cafe on a weekly basis. Sophia really did enjoy her AQWA adventure and so did we - thanks again for taking us all, it was a great birthday present idea :-). I'm all for providing experiences instead of toys! Especially since 2 of our grandchildren and all of their toys live with us! Your granddaughter is precious! I can't imagine having two grandchildren around all day every day - I think I'd need several nana naps to get through the week! Sophia is delightful, but she never stops moving - it makes me realize why we parent when we're young! Always nice to take stock! Congrats on the ebook and successfully completing A to Z. And it sounds like May was a lovely month with family and loved ones. 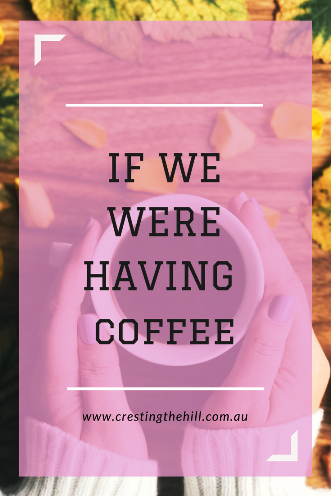 I think if we were having coffee for reals, then our coffee would get cold as we would have lots to chat about!! Great catching up and I loved the sharing of your special family times. I'm always keen for a coffee. Let's do this. Haha. 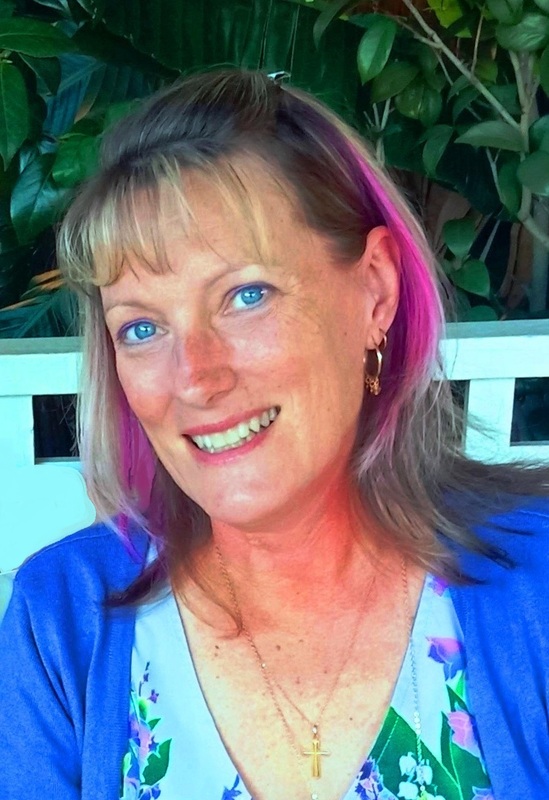 Congrats on your new eBook and to your DIL for her new blog! Exciting time. I love your coffee spot. I don't drink coffee, but I do need a coffee spot. This is my first visit, but I will be back! Leanne, I'm sure your granddaughter had a fun time at the zoo and the aquarium. What a nice idea to give an experience instead of more toys to be ignored. By the way, your granddaughter is the cutest! Thank you for sharing with #The Blogging Grandmothers. I have socialized. Thank you for sharing with #The Blogging Grandmothers. I have socialized. IS THERE AN ALTERNATIVE TO FIERCE 50? WOW! I'VE REACHED HALF A MILLION VIEWS!